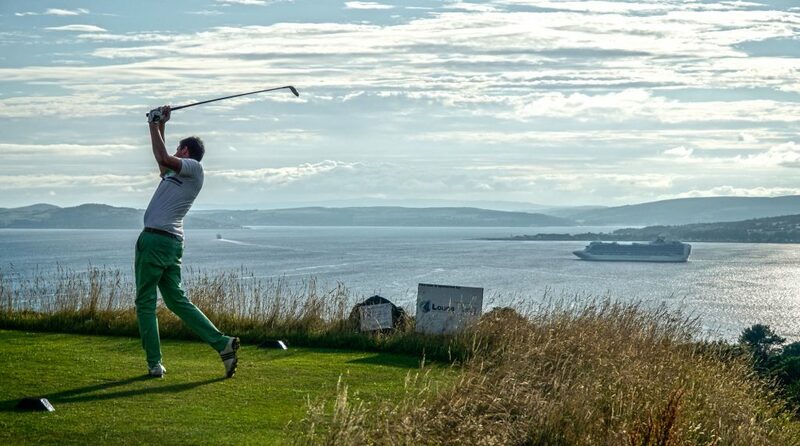 Skelmorlie Golf Club staff and members will always provide a warm and friendly welcome to all visitors who come to experience some traditional Scottish golf along with enjoying some of the best golfing views in the west of Scotland. The views out over the Clyde Coast provide a very dramatic backdrop to the drama of the game itself. The 18 Holes will provide a good golfing challenge to all levels of golfers, and playing well will fully test your skills and ability for sure. The golf course was initially renowned as a 13 hole layout, one of the few in the world. With the addition of a further 5 holes in the 1990’s, it is now a very rewarding 18 hole course, that is much loved and enjoyed by not only its loyal members, but by the many visitors and guests who come here to enjoy it. Our course boasts a number of very good Par 3’s which will test the very best of golfers and which by themselves often determine the eventual success of your round. If you can play to the par of the course, then you will not only have enjoyed your walk, but you will have played some great golf too. We hope you will decide to come and visit us, and take the opportunity to enjoy the magic of playing Skelmorlie Golf Club. We certainly look forward to meeting you!